ArahWeave 7.2b finally supports scanned yarns. 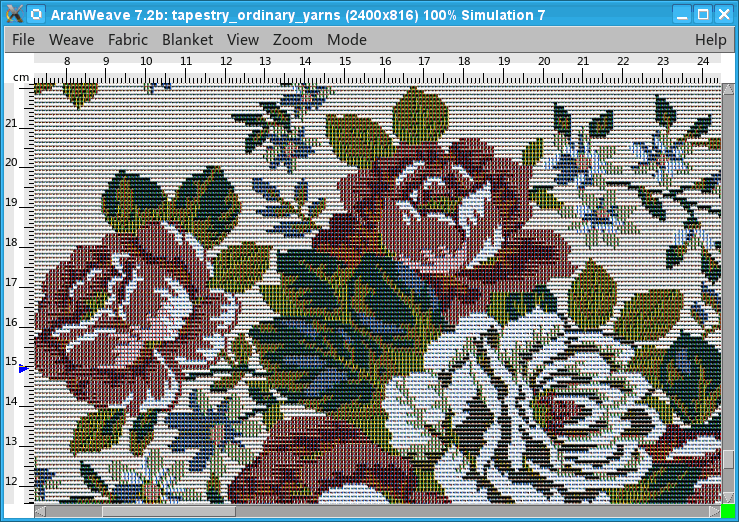 You can compare tapestry fabric simulation with a scanned yarn and normal straight yarn. You see that the one with scanned yarn is much more vivid and realistic. Of course, you could already used drawn yarn model before, but few customers had the patience to hand draw complex yarns.